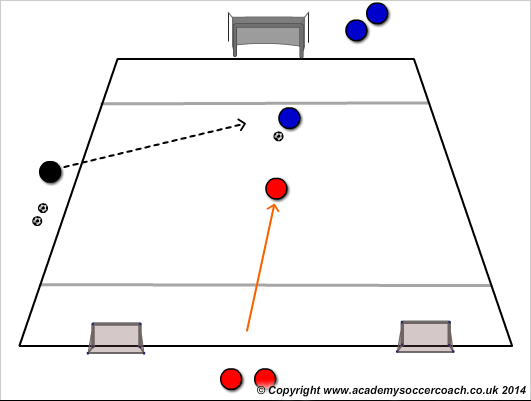 Purpose of session: To develop 1v1 defending and to introduce the role of the second defender in a 2v2. 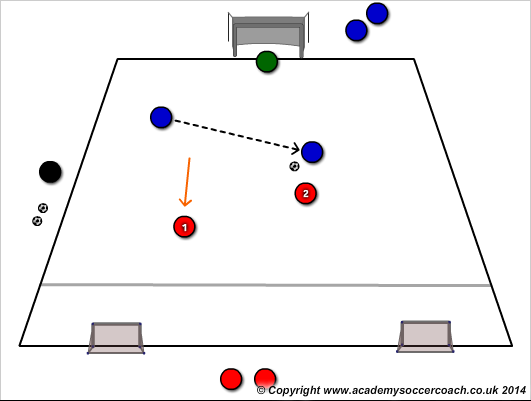 Players split into two teams in a 20x25m area. 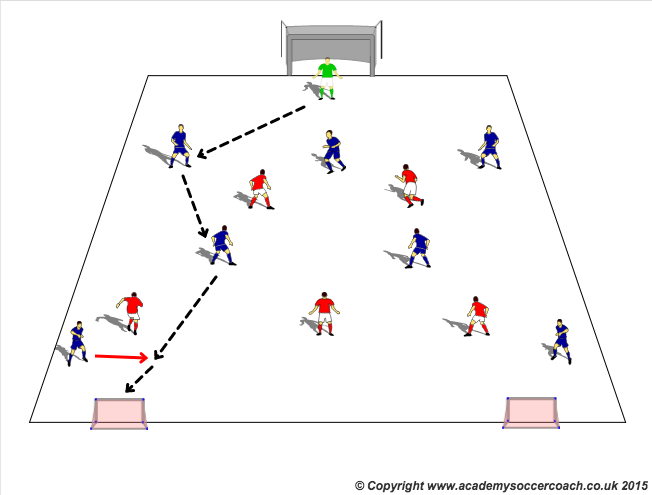 Players start jogging in different directions, perform different dynanic movements. Introduce players to different muscle groups. Calves, quads, hamstrings, hips, upper body. Progress by adding a ball per team, players still moving around the whole area occuping space but supporting. Max 2/3 touches. Progress further to add a further 1/2 balls. Introduce goalkeeper, second defender and attacker. What is the role of second defender?